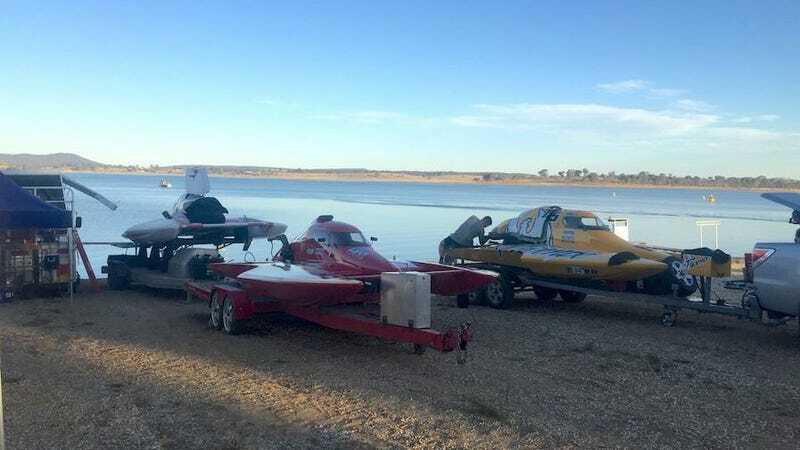 Via Hyper5 Hydroplane Series Teams are starting to set up in the pits on Lake Eppalock. Impatient (Vella Racing Team) on left, The Phoenixon the right. Untamed Lady - 5 Litre Hydroplane just out of frame, waiting for the crane to set up before they set up properly. Cookie’s Monster (Cook Family Racing) is ramp launching, so is further right out of frame. Plus, we’ve got two new boats to introduce to you, tomorrow. That’s GP Miss Tina Breeze in the background.